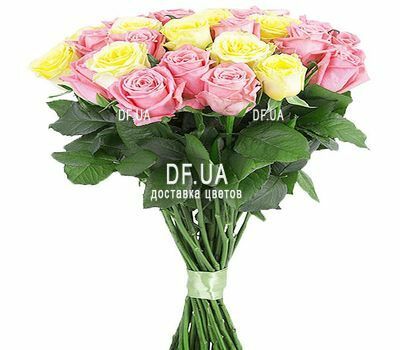 Bouquet of pink and yellow roses - a delicate composition that will delight your best friend, relative or boss. Excellent royal flowers will give a lot of pleasant moments of aesthetic pleasure: to resist is simply unreal! 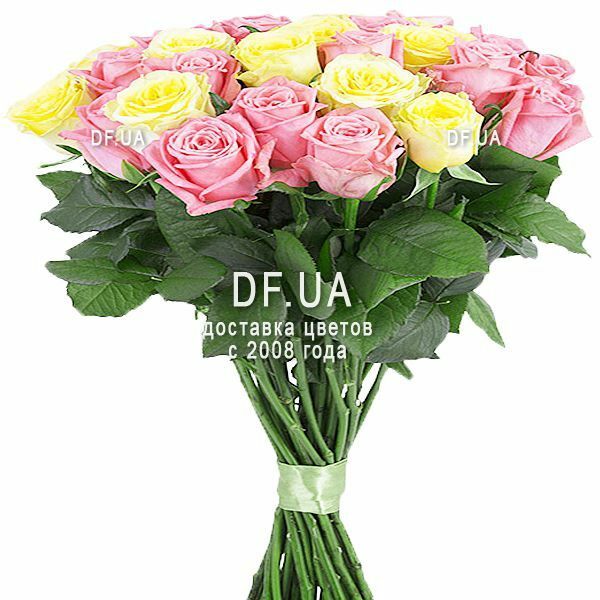 This bouquet of yellow and pink roses was created specifically to give happiness, so you can give it for any occasion and not doubt the relevance of such a present. Your loved ones will only be grateful to you. Do not doubt the speed of delivery - your beautiful recipient will not have to wait long. 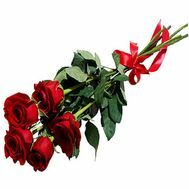 The courier will bring a bouquet of yellow and pink roses very quickly, which will please the addressee. And you, in turn, are waiting for a lot of words of gratitude. Это одна из немногих компаний по доставке цветов, которая добросовестно выполняет свою работу! Букет шикарный, доставка во время! Получатель доволен!